If you’re in the market for a compact SUV that offers reliability, stylishness, and roominess, it’s time to take a look at the Toyota RAV4. One of Toyota’s more popular models since it appeared in their lineup, this vehicle has many features that make it a good choice as your everyday vehicle in the Carmel area. At Andy Mohr Toyota, we know that an informed decision is the best decision, so we’re here to show you around what the RAV4 has to offer in terms of the above-mentioned attributes. Read ahead to find out more about the local area, what our dealership has to offer, and what this vehicle can do for you! 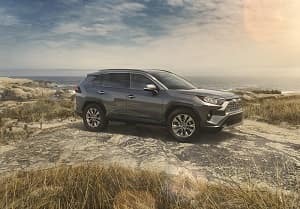 Arriving this winter, the 2019 Toyota RAV4 is a powerful, sporty, good-looking ride that offers all-wheel-drive capability for any difficult road conditions you may encounter. We’re excited for this vehicle to come join our inventory so that you’ll have first pick! However, if you’re looking for a new vehicle sooner than that, you’ll want to take a peak at our 2018 models that have proven to be quite popular. With dozens of these vehicles on our lot, we can show you each and every configuration offered by Toyota for the RAV4 model. The RAV4 comes in many different configurations and trim levels, including an added XSE Hybrid model. This is the newest addition to the RAV4 lineup and will offer a 2.5L 4-cylinder engine, effectively combining efficiency and power. This vehicle also offers Multi-Terrain Select so that you can take your RAV4 off-roading and let adventure be your guide. The Toyota RAV4 Limited is the high end of the trim spectrum and offers all the bells and whistles. Included in the package is a front-row moonroof, 7-inch multi-information display, and a digital display rearview mirror. You’ll also have the option of adding ventilated front seats, heated rear seats, and a hands-free power liftgate. Our used RAV4 inventory is also plentiful, so if you’re considering a safe, reliable vehicle for a teenager or you’d simply prefer something with a few miles already on it, you’ll find the right vehicle for your needs on our lot. 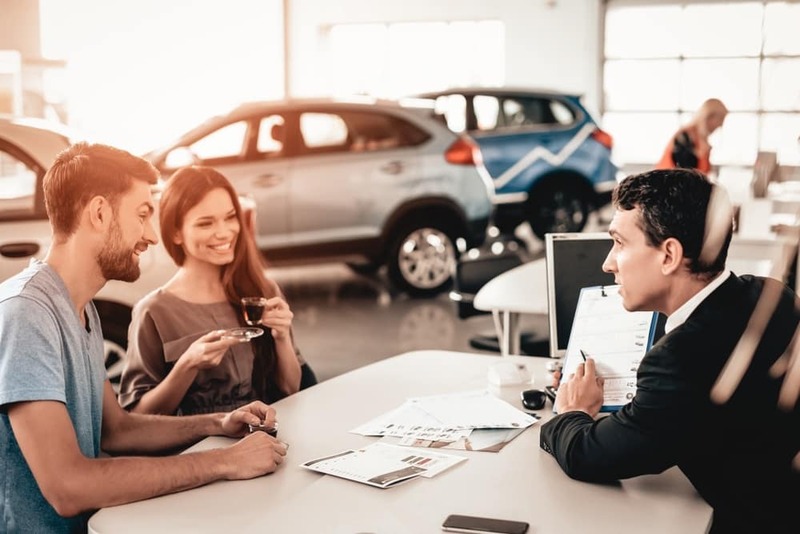 You have several options when selecting a pre-owned vehicle: You can choose a traditional option, or you can check out our certified pre-owned (CPO) inventory. With this latter selection, you’ll find a vehicle that comes with an additional warranty as well as the peace of mind that comes from knowing your vehicle went through a rigorous multi-point inspection before being listed as a certified model. If you have a passion for the arts, do yourself a huge favor and take a trip to the Carmel Arts & Design District, where you’ll always find something engaging going on. Check out the wares of interior designers, browse through the galleries, or grab a bite to eat at one of the many restaurants in the district. Once you’ve absorbed some of the culture, stop into one of the local wineries such as Peace Water Winery, which features delicious Napa Valley wines in an exclusive location. Plus, you don’t need to make a reservation to do a tasting! Try the Wishful White or one of their red selections, like 21 Windows—made by a winemaker who calls Howell Mountain home, this wine has been on a journey, and you can taste it. Whether you’re looking to own or lease your RAV4, we recommend that you take the first step by filling out our online financing application. This allows us to get your information so we can start checking with our vast network of lenders to find the right loan terms for you. We can also help you if you’ve had some credit problems in the past. Our special financing program is in place to help qualified buyers find the fresh start they deserve by getting them behind the wheel of the car they need. For more details, ask one of our sales team members. When you’re ready to explore the RAV4 near Carmel, IN, join us at our dealer to check out everything this vehicle has to offer. 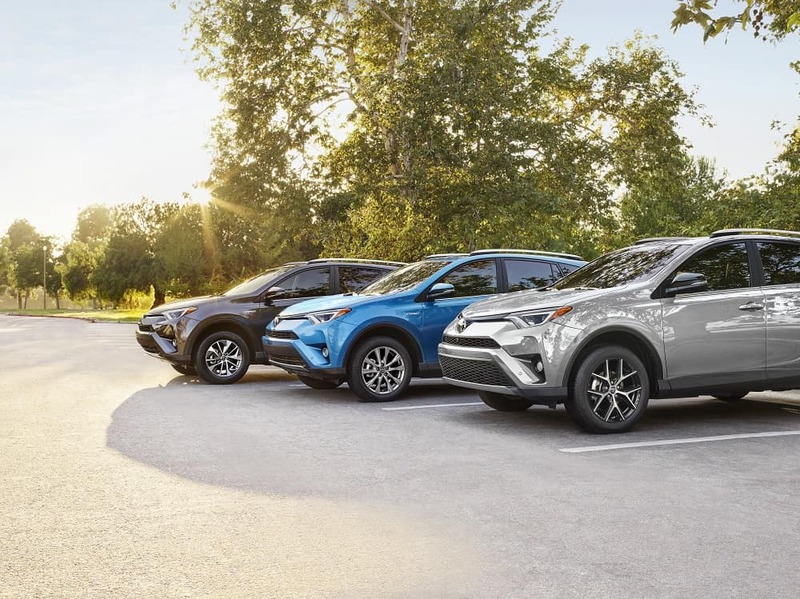 At Andy Mohr Toyota, we’re ready to help you make a decision about your next vehicle, and we think the RAV4 may be the perfect fit. Schedule a test drive at our Toyota dealership today!